The new Acura RLX commands the roads and demands your attention. Get the fun started in the new Acura RLX, the midsize luxury sedan that demands your undivided attention. This sleek beauty leaves a lasting impression with its chiseled body, Jewel Eye® LED headlights, and distinctive diamond pentagon grille. The elegance continues in its contemporary cabin with heated leather seats, tri-zone climate control, and an electronic gear selector. 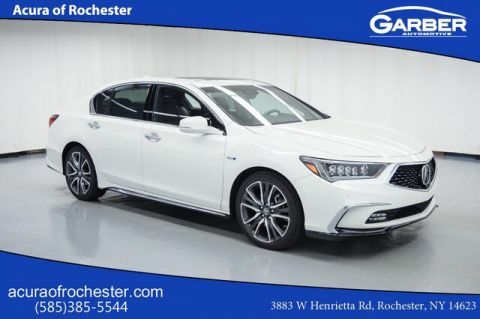 Whether you’re meeting clients in Webster, commuting to Irondequoit, or cruising around Fairport, the new Acura RLX promises a luxurious ride. Peek under the Acura RLX’s hood and discover the 3.5-liter V-6 engine that pumps out 310 horsepower. Opt for the available Sport Hybrid model and enjoy 377 horsepower courtesy of its three-motor electric drive unit and V-6 engine. The Sport Hybrid also features Super Handling All-Wheel Drive so you’re ready for whatever the road throws your way. All this and more awaits in the new Acura RLX. Schedule a test drive today at Acura of Rochester. The new Acura RLX impresses from the ground up with its sleek lines, 19-inch wheels, and signature Jewel Eye® LED headlights. The new Acura RLX’s eye-catching styling features aerodynamic curves, an aggressive stance, and a distinctive diamond pentagon grille. You’ll have everyone’s undivided attention. Light the night with the Acura RLX’s signature Jewel Eye LED headlights that cast light farther than traditional bulbs. There are also LED taillights and available LED fog lights that ensure the RLX never goes unnoticed. 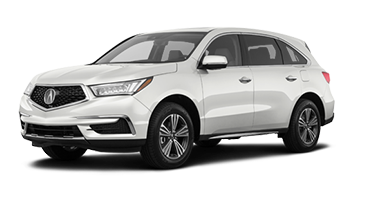 The new Acura RLX offers remarkable curb appeal with its 19-inch machine-finished 15-spoke noise-reducing wheels, available in Shark Gray or Pewter Gray Metallic. With the new Acura RLX’s heated side-view mirrors, you can keep snow, ice, and fog away while enjoying a clear view from all angles. The new Acura RLX is available in seven head-turning colors, including Fathom Blue Pearl, Brilliant Red Metallic, and Majestic Black Pearl. Acura’s attention to luxury details is evident from the moment you slip behind the RLX’s wheel. This midsize sedan features a power moonroof, tri-zone automatic climate control, and an electronic gear selector. The new Acura RLX’s cabin features leather performance seats, wood-grain accents, and metallic finishes. The sculpted dashboard houses two interactive display screens while the steering-wheel-mounted controls make changing audio and setting cruise control easy. With the new Acura RLX’s tri-zone automatic climate control, you, the front passenger, and the rear passengers choose personal temperature settings, so you all ride in comfort. Whether it’s hot or cold out, the Acura RLX’s heated and ventilated front seats ensure you’ll enjoy the ride. Just press a button to heat them up or cool them down. Open the Acura RLX’s cabin to the world around you with the power moonroof that slides open with the press of a button. Acura equipped the new RLX with the latest electronic gear selector that has buttons for drive, neutral and park, and pull-levers for reverse and the parking brake. Crank up the fun in the new Acura RLX. 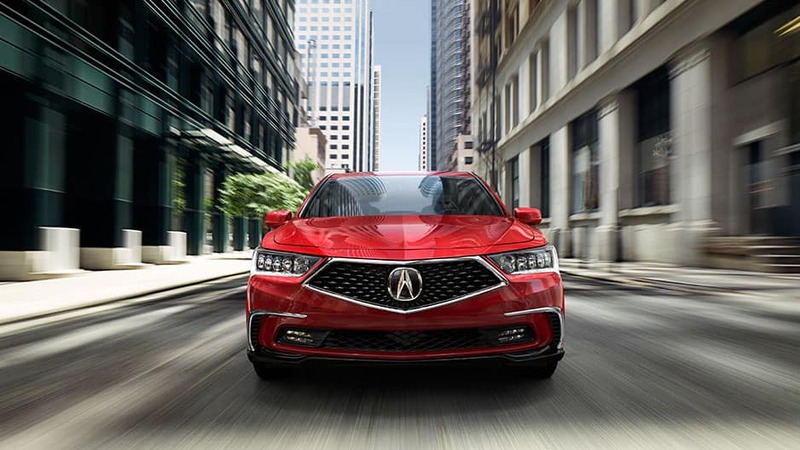 This midsize luxury sedan offers the latest in advanced technology features, including smartphone integration, the Acura Navigation System™, and ELS Studio® Premium Audio. The new Acura RLX connects to your cellphone via Bluetooth®, so you can stream music, answer calls and texts, and so much more without picking up your cell phone. Pump up the volume in the new Acura RLX with ELS Studio Premium Audio. This system features 14 speakers around the cabin that surround you in crystal-clear sound. With the Acura Navigation System, you’ll have turn-by-turn navigation right on the high-resolution 8-inch screen. It also features AcuraLink Real-Time Traffic™ to ensure you get to your destination as quickly as possible. The new Acura RLX’s head-up display projects information like current speed, turn-by-turn directions, safety warnings, and so much more right onto the lower portion of the windshield. The new Acura RLX features the On Demand Multi-Use Display™ 7-inch touchscreen. This system puts audio, climate, and other programmable controls on an easy-to-navigate screen. Wherever the road takes you, the new Acura RLX has your back with its AcuraWatch™ suite of advanced safety features including the Collision Mitigation Braking System™, adaptive cruise control, and lane-keep assist. 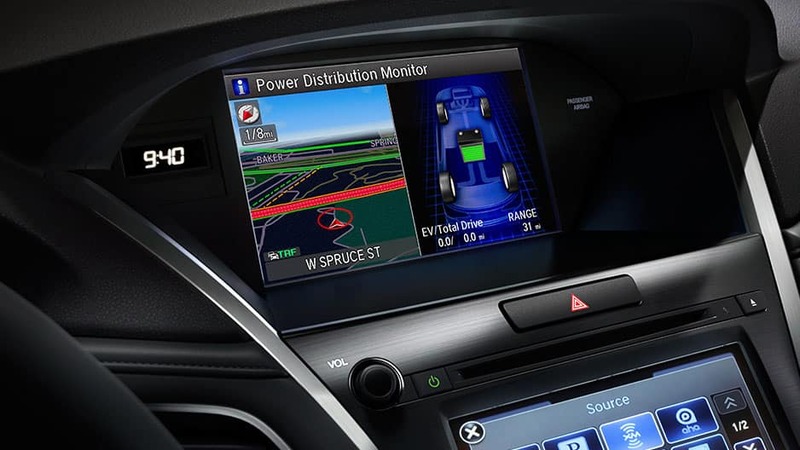 The new Acura RLX’s Collision Mitigation Braking System monitors the vehicle ahead for speed and distance. If the system detects a front-end collision is imminent, it will engage the brakes to slow you down and lessen potential damage or prevent the collision altogether. With the Acura RLX’s adaptive cruise control, you choose the speed and a following distance from the vehicle ahead of you. If you approach a slower-moving vehicle, the system slows you down to maintain the preset distance and returns to the original speed when the vehicle is no longer there. The Acura RLX’s lane-keep assist uses afront-facing camera to detect when you drift out of your lane and provides gentle steering wheel tugs to get you back where you need to be. The new Acura RLX’s 360-degree camera uses four cameras to provide a bird’s-eye view of the area around you, making it easy to reverse out of any parking spot or driveway. Using radar, the Acura RLX’s blind-spot monitoring detects when a vehicle enters your blind spot. If you signal toward the detected vehicle, the system alerts you with a beeping sound and a visual indicator. 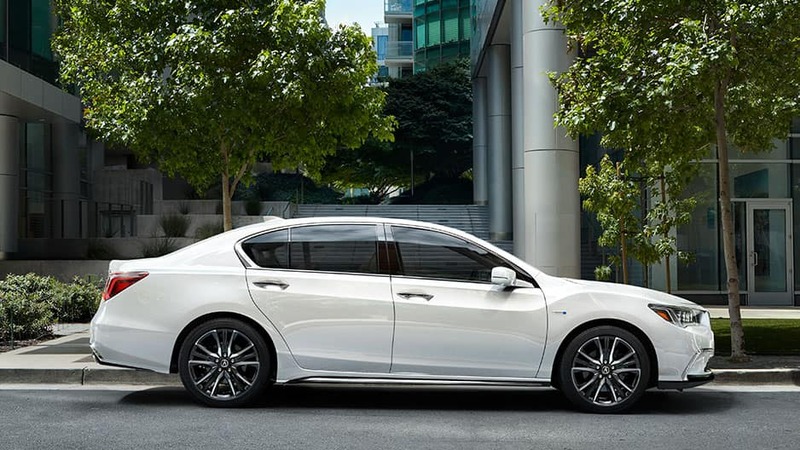 The new Acura RLX leaves other midsize sedans in its dust with a 3.5-liter V-6 engine, Sport Hybrid Super Handling All-Wheel Drive, and Vehicle Stability Assist™. Acura paired the new RLX with a thrilling 3.5-liter V-6 engine that delivers 310 horsepower in standard models. The new Acura RLX Sport Hybrid uses an NSX-sourced three-motor electric drive unit and 3.5-liter V-6 engine to deliver 377 horsepower and 29 mpg highway. The Sport Hybrid also features Super-Handling All-Wheel Drive for optimum handling in any road condition. The new Acura RLX’s Precision All-Wheel Steer™ adjusts the rear wheels to compliment the front wheels for highway-speed stability, a tighter turning radius, and decreased stopping distance when braking. With the Acura RLX’s 10-speed automatic transmission with Sequential SportShift paddles, you’ll enjoy faster upshifts and downshifts. The new Acura RLX’s Vehicle Stability Assist detects wet roads and reduces oversteer and understeer by applying braking power to each wheel as needed and reducing engine power when necessary to improve handling. Sit back and relax in the new Acura RLX. This premium luxury sedan ensures you’ll enjoy the ride with its advanced technology features. 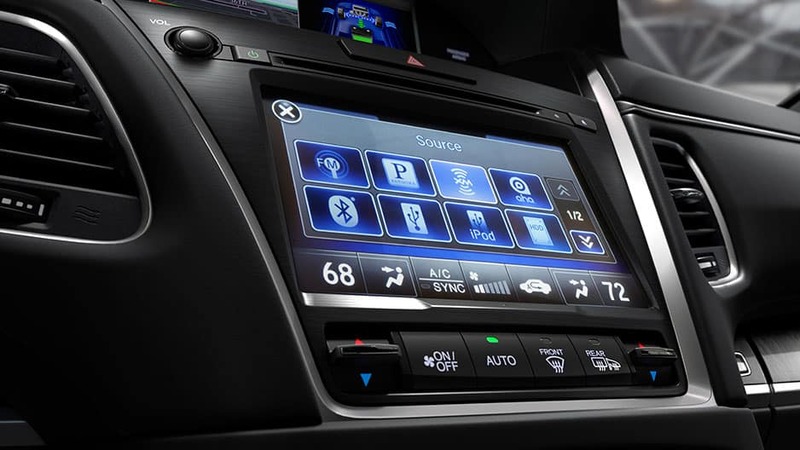 Take advantage of Bluetooth® connectivity to sync your smartphone to the infotainment system and stream your favorite songs right from the touchscreen. Pump up the volume with the ELS Studio Premium audio system and look up directions with the Acura Navigation System™. Whatever you need, the new Acura RLX has you covered. The new Acura RLX earned a five-star overall safety rating from the NHTSA, and it’s easy to see why. 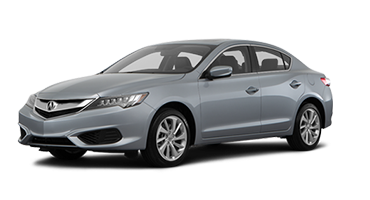 This midsize luxury sedan offers the AcuraWatch™ suite of safety features that includes Collision Mitigation Braking System™ and adaptive cruise control to up your safe driving game. And with the 360-degree camera, reversing out of any parking lot or driveway has never been easier. Experience the new Acura RLX today by scheduling to test drive it at Acura of Rochester. 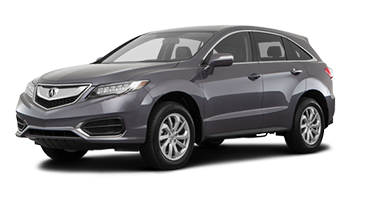 *MSRP: Prices shown are Acura suggested retail prices only and do not include taxes, license or destination and handling charge. Destination & Handling charge is $995 for sedans and $995 for SUVs. Acura vehicle accessory costs, labor and installation vary. Dealers set their own prices. Please consult your selected dealer. 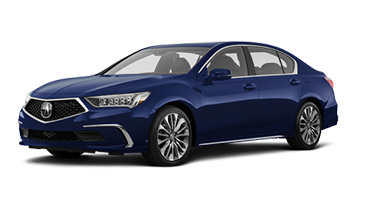 MSRP is for the 2019 Acura RLX. *2019 EPA Mileage: MPG shown is for the 2019 Acura RLX V-6 P-AWS. Based on 2019 EPA mileage ratings. Use for comparison purposes only. Your actual mileage will vary, depending on how you drive and maintain your vehicle, driving conditions, battery pack age/condition (hybrid only) and other factors.